The season kicks off on the dirt, indoors, on March 19 at the Southern Illinois Center in DuQuoin, Ill. The facility has played host to several midget races in recent years, but this will mark the first points-paying USAC National Midget event at the track and the first points-paying, USAC National Midget race indoors since Kenny Irwin, Jr.’s victory at the Toronto SkyDome in 1993. It also marks the USAC National Midgets’ first event in DuQuoin, Ill. since Sleepy Tripp won a 50-lap race on the one-mile dirt oval at the DuQuoin State Fairgrounds in 1979. Other new events on the 2016 schedule include a race at Montpelier (Ind.) 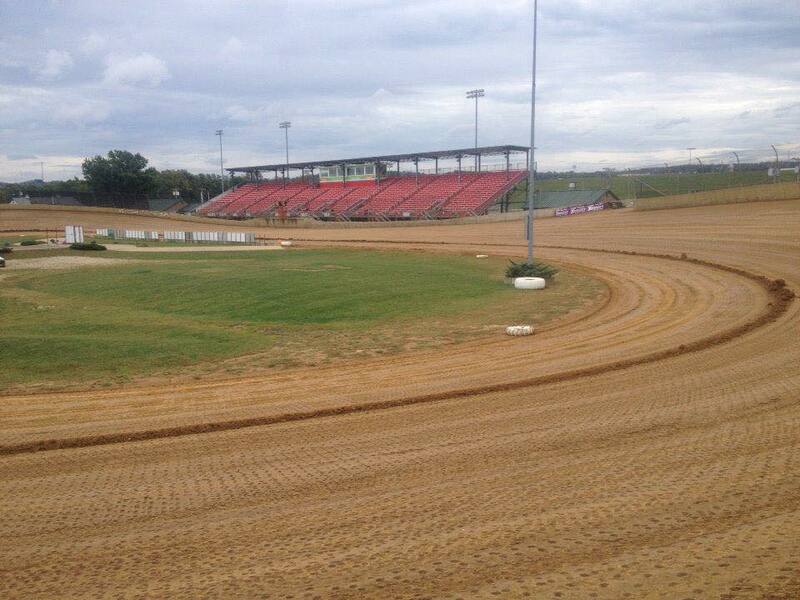 Motor Speedway on May 31 to kick off the now six-race “Indiana Midget Week” slate. A double-header weekend at Riverside International Speedway on June 17-18 brings the USAC National Midgets to the state of Arkansas for the first time ever. The 76th running of the prestigious “Turkey Night Grand Prix” has found a new, but familiar home at Ventura (Calif.) Raceway. The oceanside dirt bullring hosted its only “Turkey Night” in 1997 with Billy Boat picking up the victory. Traditional events make up the bulk of the schedule with the 3rd running of the Kokomo Grand Prix taking place on April 8-9. “Indiana Midget Week” has expanded to its largest slate ever with six races, beginning at Montpelier on May 31 before heading to Gas City I-69 Speedway on June 1, Putnamville’s Lincoln Park Speedway on June 2, Bloomington Speedway on June 3, Lawrenceburg Speedway on June 4 and Kokomo Speedway on June 5. The midgets hit the Heartland in early August when the series makes a return trip to Solomon Valley Raceway in Beloit, Kans. on Aug. 3, then heads to the Belleville (Kans.) High Banks for the 39th running of the legendary “Belleville Midget Nationals” on Aug. 5-6. For a second consecutive season, the series returns for a trio of races in Pennsylvania for the newly-minted “Keystone Invasion.” The three-race swing begins at Path Valley Speedway Park in Spring Run on Aug. 15, then heads to a yet-to-be-announced track on Aug. 16, before closing out the mini-series at Abbottstown’s Lincoln Speedway on Aug. 17. Eldora Speedway in Rossburg, Ohio once again carries the Midgets on the card for the traditional “4-Crown Nationals” on Sept. 24 as one of the four crowns along with the Silver Crown Championship Cars, AMSOIL National Sprint Cars and the All Star Circuit of Champions. If a driver is able to “sweep” all four feature events on Saturday night, he or she will take home a staggering $100,000 bonus. A $25,000 prize will go home with a driver who can win three of the four features. The “Gold Crown Midget Nationals” returns to its traditional October date with three consecutive nights at Tri-City Speedway in Granite City, Ill. on Oct. 6-7-8 before the series closes out the Midwest portion of its season with the “Jason Leffler Memorial” on Oct. 21 at Wayne County Speedway in Wayne City, Ill. Races marked with (i) represent an indoor race.Races marked with ** represent a race with the ARDC Midgets.